On the side of the Brahmagiri hills in Wayanad lay an ancient temple, dedicated to Lord Maha Vishnu, the Thirunelli temple. 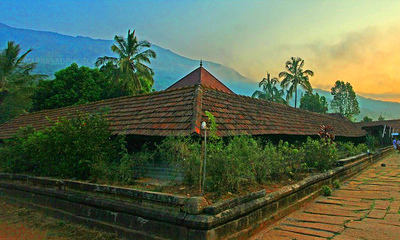 The temple, surrounded by beautiful hills and forests, is located 32 km away from Mananthavady. The temple is also known as Sahyamala Kshetram and Kashi of South. The temple has an interesting legend behind. While travelling around the world, Lord Brahma came across a beautiful place now known to be Brahmagiri hills. Getting attracted to the beauty of the hills, he descended there and noticed an idol resting on an Amla (Gooseberry) tree. He recognized the idol as Lord Vishnu himself and with the help of the other Devas, he installed the idol there. On Brahma's request, Lord Vishnu promised that the water around the temple will wash away all sins and thus the stream Papanashini originated, destroying all the sins. The temple got its name from Nelli means Amla (Gooseberry) and came to be known as Thirunelli. While reaching the premises of this temple, you will experience the tranquility. 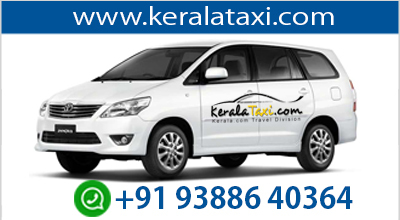 You will get refreshed with calm and peaceful surroundings covered with lush green forest. 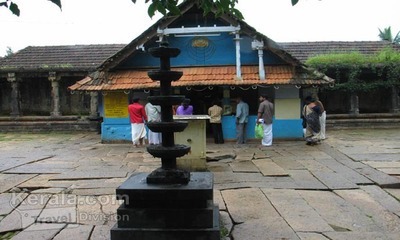 The Thirunelli temple is constructed as per ancient temple architecture. The rituals in this temple are performed on the banks of stream Papanashini, which originates from the Brahmagiri hills. The stream is considered to have medicinal powers. You can also see a holy rock in this temple, where people used to pray for their forefathers. On the western side of the Thirunelli temple, you can sight cave temple Gunnika. This temple is dedicated to Lord Shiva. Thus Thirunelli is blessed with the trinities – Shiva, Vishnu and Brahma. Near to the Papanashini stream, you can sight Panchatheertham, the sacred pond. It is believed that five streams met here in ancient period. You can see dense bushes surrounding the pond and also a foot imprint of Lord Vishnu in a stone slab at the centre of this pond. On summer season, the pond becomes dry. The temple is open from morning 5:30 to 12 pm and then evening 5:30 to 8 pm. You can also plan a trekking trip to Pakshipathalam, only 10 kms away from Thirunelli Temple.